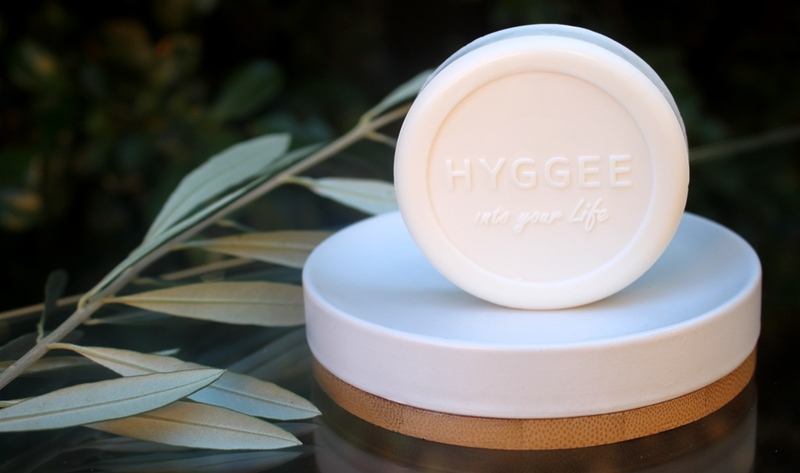 The HYGGEE All-In-One H2 Soap claims to be suitable for skin that feels especially tight and dry after washing, looks dull, lacks colour or is sensitive and requires mild cleansing. Coconut Oil Powder is found at the largest concentration in this soap. It contains a high amount of lauric acid, a medium chain triglyceride (MCT) that has anti-inflammatory, antibacterial and antifungal properties, thus resulting in benefits for acne prone and inflamed skin. Similar properties also give Silver its place in this product, seemingly making it an effective topical treatment for skin ailments including acne. However, there is little current scientific evidence to support this claim. Raisin Seed Oil is rich in beta-carotene and vitamins C, D, and E as well as boasting a concentration of polyphenols and essential fatty acids like palmitic, stearic and linoleic acid. This content gives the oil strong moisturising, antioxidant, anti-inflammatory and anti-ageing benefits, making it effective at slowing the formation of lines and wrinkles while also helping to prevent acne breakouts. The abundance of triglycerides, fatty acids and vitamins (A, C and E) in Plum Seed Oil results in a similar strengthening and anti-ageing impacts on the skin. Avocado Oil is also a good source of omega-3 fatty acids and vitamins A, D and E allowing it to deeply penetrate and moisturise the skin while also serving to provide a protective barrier. It protects the skin with antioxidant strength and heals by promoting collagen synthesis and decreasing inflammatory cell count. The Omija berry is a unique Korean fruit which has been used historically in herbal medicine. It is said to contain five distinct, fragrant flavours. In skincare it is utilised as a strong antioxidant source, effectively deactivating free radicals to deliver skin strengthening and to slow the ageing process. Boasting antiviral, antibacterial, antimicrobial and anti-inflammatory properties, Caster Oil is an excellent healer. It helps to retard the growth of harmful microbes with 80-90% Ricinoleic acid while oleic and linoleic acids provide softening effects and triglycerides restore the skin’s natural moisture balance. 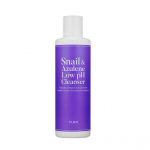 It’s also very cleansing, helping to pull dirt and grime from the epidermis. Ensuring this does not cause a drying effect, it additionally acts as a humectant able to draw moisture from the air into the skin. This action is of course helped along by one of the most commonly used and effective humectants in skincare, Glycerin. Cortisol is a steroid hormone released in our bodies when we are stressed. It responds by regulating and reducing inflammation. Licorice mimics cortisol with anti-inflammatory properties and has proven itself an effective treatment for eczema. 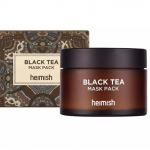 It also contains a phytoestrogen called Glabridin, thought to encourage the skin to create its own strengthening connective tissues resulting in anti-ageing effects. 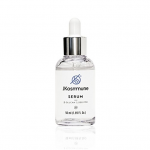 By inhibiting Tyrosinase, the enzyme responsible for the pigment of our skin, it causes a lightening effect which is a key focus of Asian skincare. 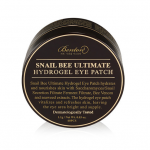 There are several ingredients added for their antibacterial and soothing capabilities. Bamboo Salt contains more than 70 types of minerals. Unlike other salts which are acidic, it is highly alkaline (pH 9-12). It exhibits strong antioxidant, anti-inflammatory and antibacterial properties ensuring it can effectively revitalize body cells as well as treat acne and inflamed skin. Traditional Asian botanicals Sophora, Mung Bean, Goldthread and White Lotus enhance the fight against acne and other skin conditions, helping also to balance facial oils and reduce redness as well as improve overall radiance. Finally, the hero ingredient in the soap is Hydrogen Gas. One of its strengths is its microscopic molecular size, allowing it to penetrate deep into the tissue making it an effective antioxidant. However, as the last ingredient in the list, it appears to be included in trace amounts likely making its contribution to this product negligible. 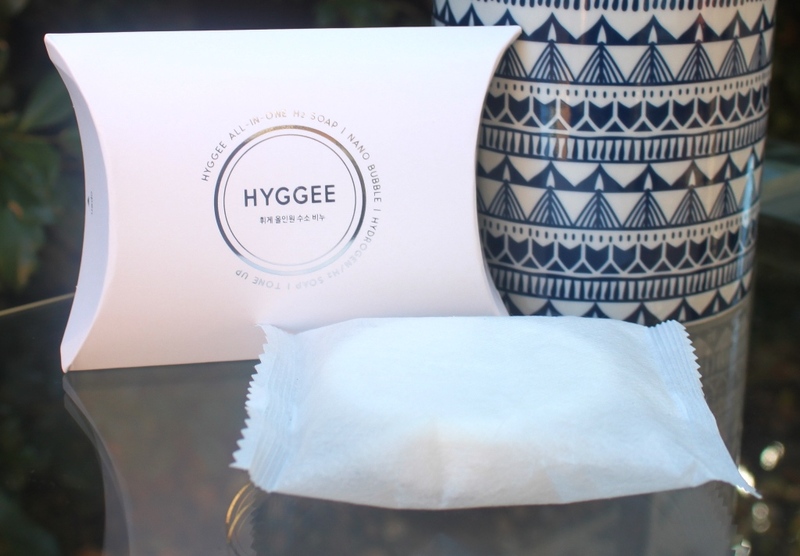 The HYGGEE All-In-One H2 Soap comes wrapped in a soft pouch and packaged in a cardboard pillow box. 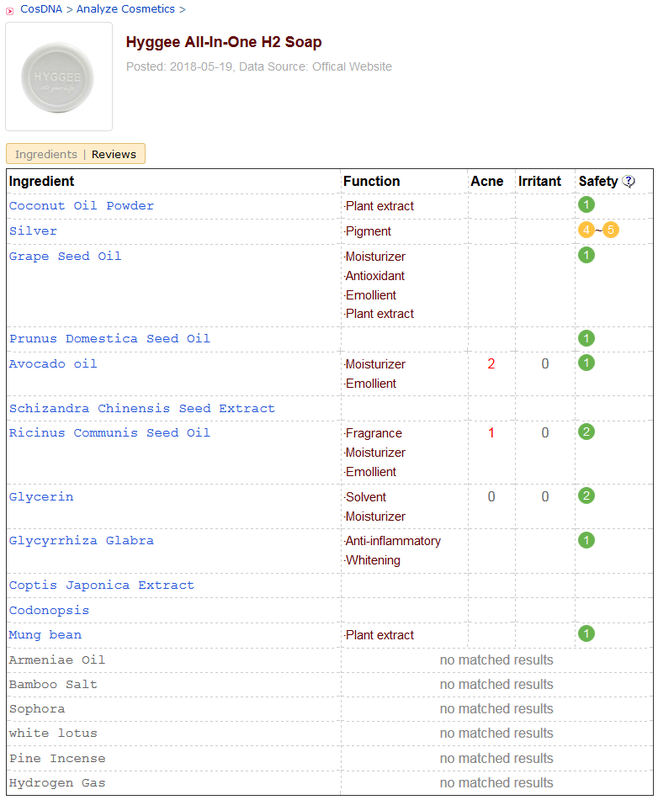 After entering the ingredients into both the CosDNA and EWG databases, the HYGGEE All-In-One H2 Soap rated favourably however due to the nature/obscurity of some of the Asian herbs included, many were not found in these resources. As such, the analysis remains incomplete. Wet the soap to create a foamy lather then apply to the face with hands. Gently rub in circular motions. 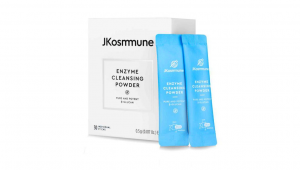 Only suitable for secondary cleansing not as a makeup remover. 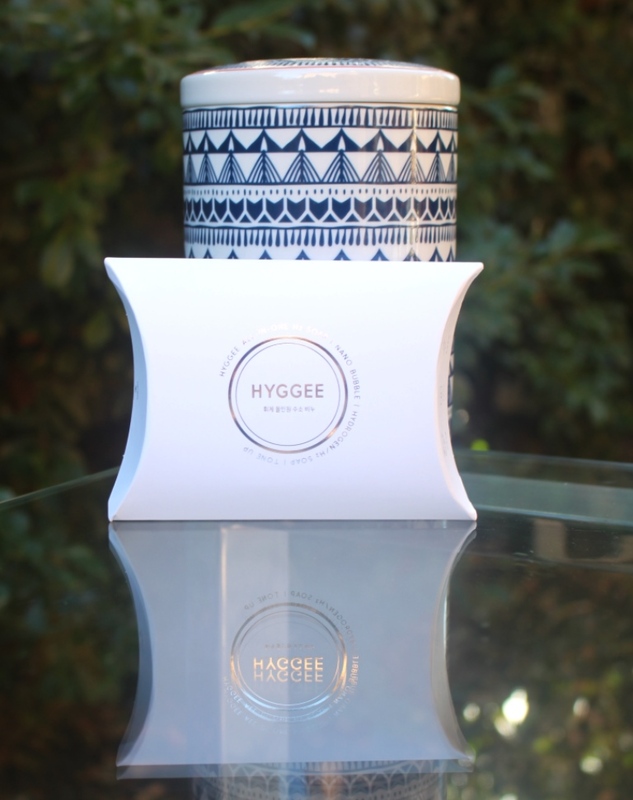 There is a mild herbal scent associated with the HYGGEE All-In-One H2 Soap. The HYGGEE All-In-One H2 Soap sells for US$18.00 at Style Korean. 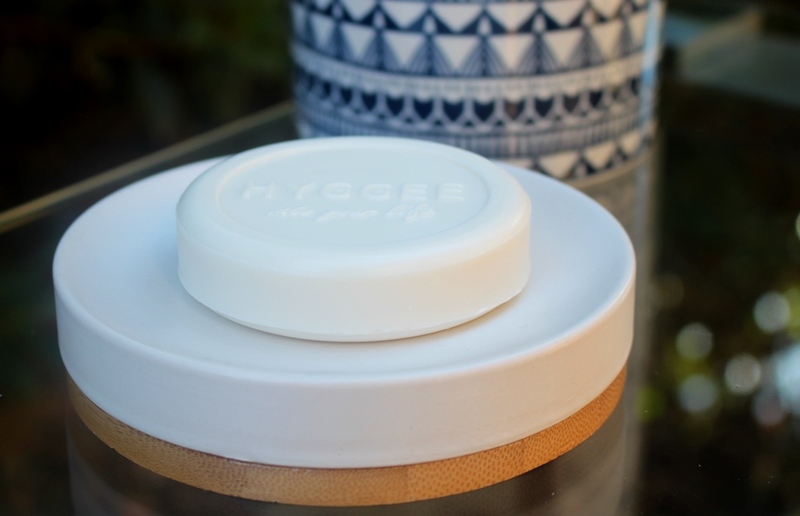 Hyggee products are available at Style Korean. I was unable to detect an expiration date or duration of use after opening. As as soap, I recommend continuous use until finishing. 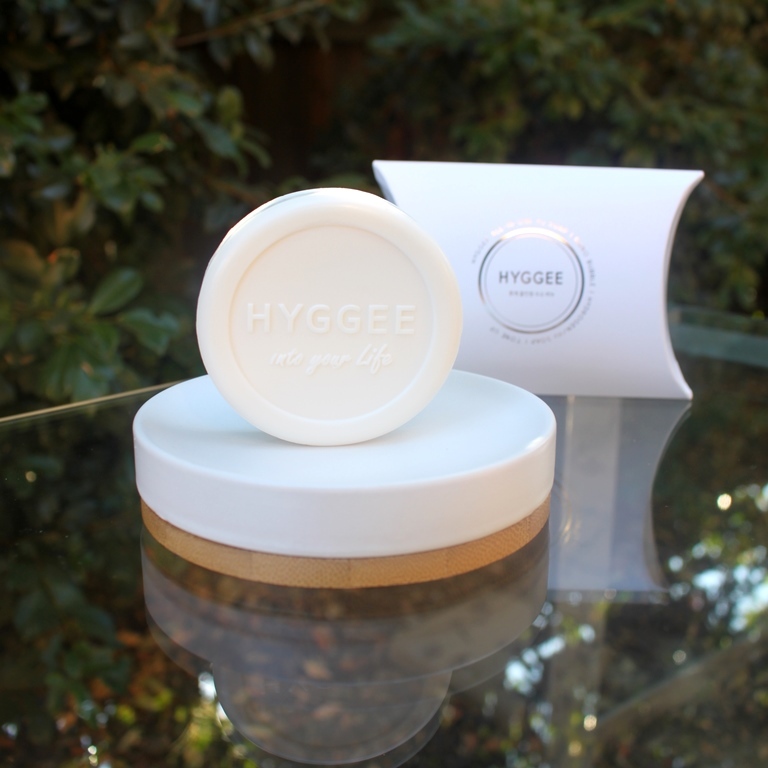 The HYGGEE All-In-One H2 Soap is elegantly presented in a gift-like pillow box and enclosed in a soft pouch. Given the nature of a soap, it would require air circulation to stay firm and retain its hygienic state so this is not a product that would warrant air tight packaging. The soap itself is a perfect handling size. The embossed branding adds a level of sophistication to the presentation. The ingredient list is nothing if not interesting. 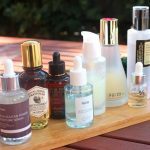 There are so many Asian medicinal herbs and plant extracts that I have never considered in a skin care environment. Clearly, the CosDNA and EWG databases fall a little short of these extravagant inclusions too. 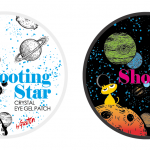 Nonetheless, a little bit of research shows that they do have healing and soothing properties although several are renowned for these effects when ingested rather than topically applied. The soap has a gentle and light scent which is pleasant. It reminds me of grass and herbs. It becomes more prominent once you lather it but dissipates as soon as you rinse. I couldn’t find any reference to Pine Essence with respect to its use in skin care so I assume this might be added to the formulation for fragrance. The other botanical extracts probably contribute to the soap’s final scent too. 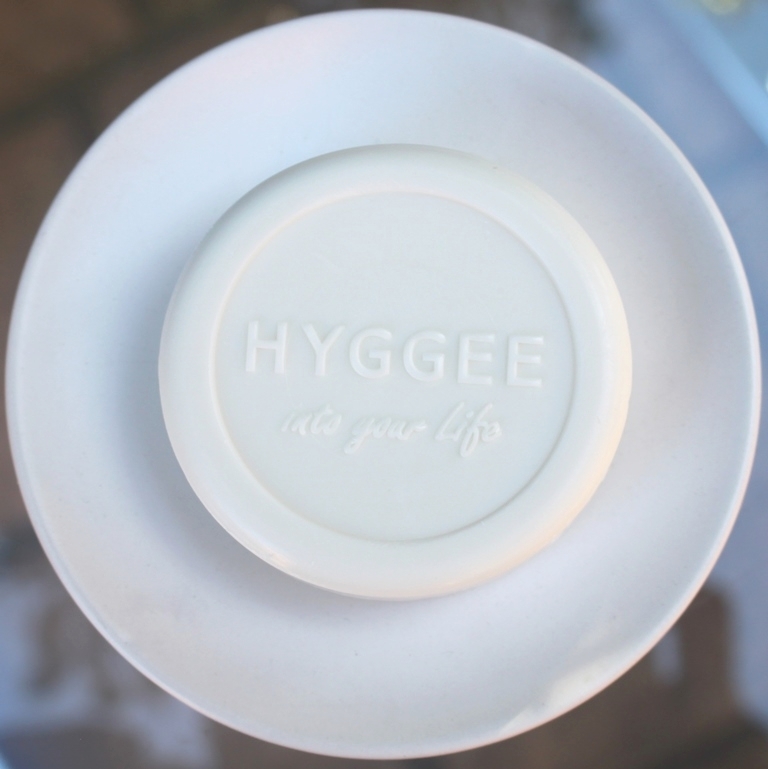 Hyggee instruct lathering the soap by wetting it and then spinning it between your hands to generate a foam. 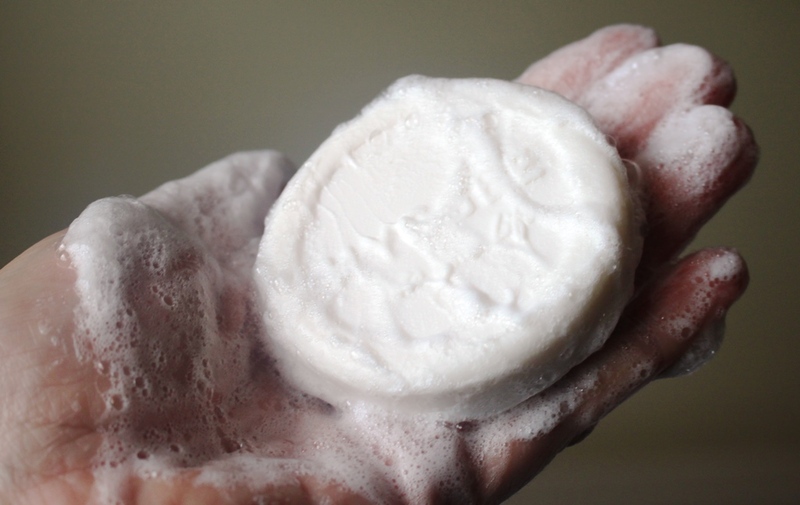 A very soft and satisfying foam results which is what you use to clean your face. Where normally you apply the soap or cleanser to a damp face to generate a lather, in this instance, the soap itself doesn’t come into contact with the skin, you merely use the lather generated as the cleansing agent. As such, it delivers the softest, lightest cleansing experience. 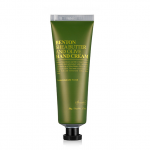 It’s very satisfying and extremely gentle on the skin. 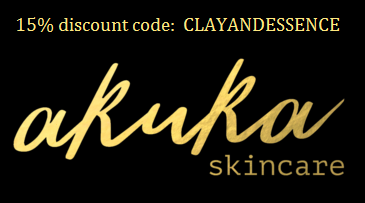 It rinses just as easily as there is no density or resistance, revealing clean, refreshed skin. It is a little cumbersome that you have to provide your own packaging to store it between uses. A separate soap dish with good air circulation is imperative for this product as it will soften if left damp in the shower or sink just like any other bar soap. (A tube on the other hand requires no upkeep and is always readily available). Once the face is patted dry and the remnants of water evaporate from the skin, there is a very slight tightening sensation which indicates that the product is a little drying. This was confirmed with a pH test which on two separate occasions revealed an alkaline reading of between 8.0-8.5, the ideal being acidic and measuring around 5.5. 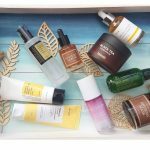 However, given the ingredients are strongly geared towards the relief of acne, if I suffered this condition and this product could alleviate it, I would use it and just compensate the small amount of hydration lost with an additional serum dedicated to replenishing moisture in my routine. I’d probably also finish with a ceramide and fatty acid rich moisturiser to help repair any degradation of the moisture barrier. It’s not perfect but from my recollection of teenage acne, the condition itself is more of a concern than a slight drying effect. 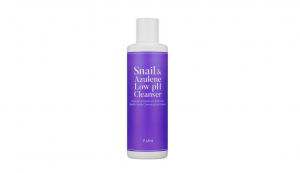 Unfortunately, I was unable to personally test this aspect of the cleanser as acne is not one of my skin concerns. Apart from its slightly drying nature, the only other negative I can draw from this soap is the cost. US$18.00 is quite expensive, particularly given the longevity of a bar soap. The mere nature of creating a lather can be quite wasteful. In terms of amount, it is the same weight (80g) as the Su:m37 Miracle Rose Cleansing Stick although this is far more portable and manageable given it is presented in a chapstick-like twist up dispenser. Since I do not suffer acne or redness, I decided that with my oversupply of second cleansers, this would be better suited as a body soap, so I use it in the shower. In this capacity, I absolutely love it. 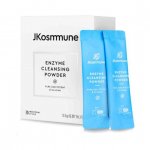 It provides an excellent cleanse, generates a satisfying foam and leaves the skin clean and fresh. This is a gentle and satisfying way to cleanse your face. 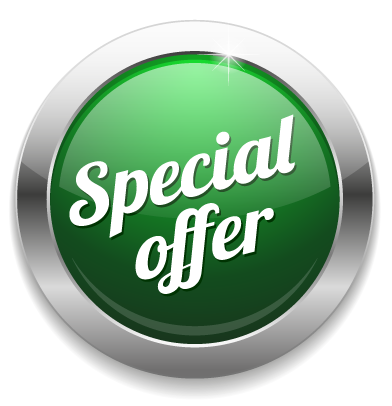 If it relieves acne or other skin conditions with its antibacterial properties, then go for it. If that’s not your concern, then due to the storage overhead and its drying nature, I would opt for something else or use it in the shower as a body cleanser. 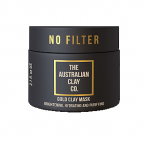 This product is suitable for people with oily, combination or acne prone skin. 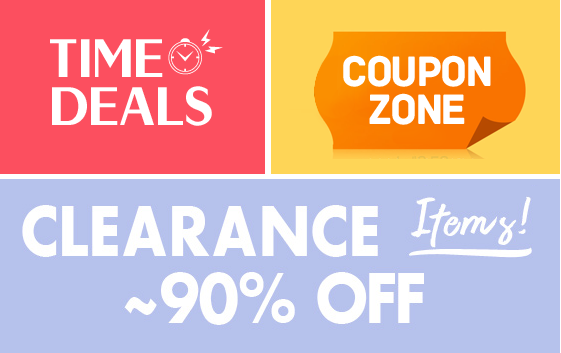 This product was provided to me free of charge by Style Korean for review. This post only includes my honest opinion and experience of this product and is in no way influenced by Hyggee, Style Korean, any of its representatives or any other third party.